The Home Cinema 2040 projector brings the big screen home, delivering Full HD 1080p entertainment. 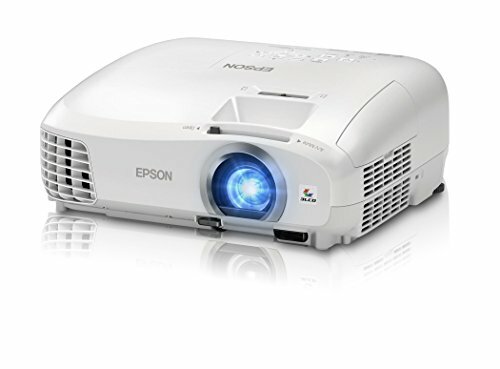 Offering up to 3x Higher Color Brightness1 than competitive models, Epson 3LCD projectors ensure vibrant images. This portable performer delivers up to 35,000:1 dynamic contrast ratio, advanced image processing, plus 2200 lumens of color brightness and 2200 lumens of white brightness2. Enjoy movies, games and more with two HDMI ports and MHL3 connectivity. Connect your Blu-ray Disc player, gaming console or streaming device, and project up to 300" virtually anywhere. A built-in speaker and convenient setup tools mean you can enjoy HD content out of the box. Screen Size Range: 90-inches from 8 feet; 134-inches from 12 feet. Projector Dimensions: Including feet - 11.69" x 9.65" x 4.69" (W x D x H). Excluding feet - 11.69" x 9.80" x 4.49" (W x D x H). Connectivity: 2 HDMI (1 MHL), 1 RCA (composite), 2 RCA (1 audio L/R) stereo, 1 VGA D-sub 15 pin (computer input), 1 USB Type A. Please refer the User Guide before use.